The British government has pledged that if any petition on its official website receives more than 100,000 signatures, it will merit a formal response from the government and a debate in Parliament. Going to meet its maker? A confident and assured government might have said the result of the 2016 referendum was clear, and the government intended to respect it. That would have been a full and complete answer. Instead, we have a lengthy rant in terms reminiscent of Monty Python's Dead Parrot sketch. We are meant to understand British membership of the EU is no more; it has ceased to be, expired and gone to meet its maker. If it wasn't nailed to the perch by administrative necessity, it would be pushing up the daisies. It has kicked the bucket, shuffled off the mortal coil, run down the curtain and joined the bleedin' choir invisible. It is an ex-membership, or at least it will be when the Article 50 clock runs out in March 2019. As they say about the rise of tinpot dictatorships in foreign lands: One person, one vote, one time. The Will of the People was expressed in its quintessential, final and eternal form by the vote on 23 June 2016. It is not subject to change, because reasons. That said, if I was a betting man, my money would be on Britain exiting the EU on schedule. For better or for worse, most likely worse, we're on our way out. The reason the government clings so desperately to its policy of Brexit, like a child to a favourite toy, is simple: It doesn't have anything else. Theresa May's party conference speech this week made that clear. Once you get past the disastrous delivery and look at the content, there isn't much there, there. She pledged to build some council homes, but it's likely to be no more than a token effort. Any serious attempt to address the housing crisis would have to lower inflated house prices, which would hit the Tories' elderly and prosperous supporters, which is a thing they cannot countenance. Other than that, the cupboard of Tory policies is bare. 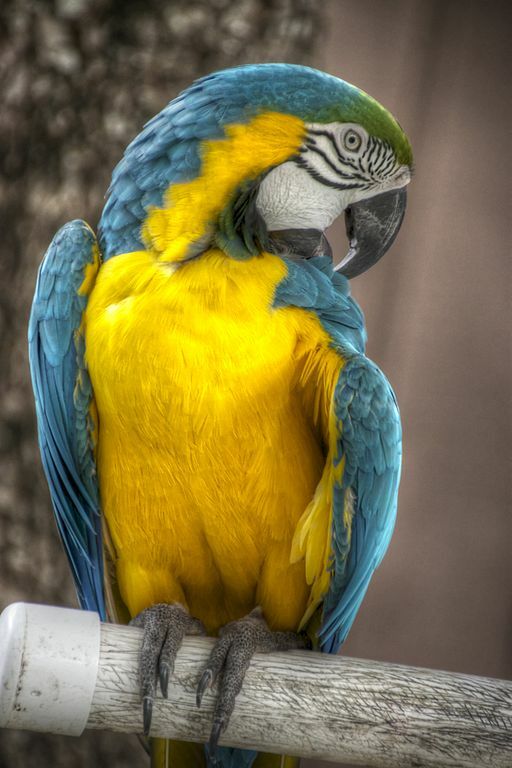 The traditional nostrums of privatising, deregulating, and cutting taxes don't fly any more; in terms of winning public support, they are as dead as the Norwegian Blue Parrot. After nearly forty years of Thatcherism, New Labourism, and Cameron/May austerity, there isn't much left to cut, except for the core public services that people really depend on. The government may try and cut them anyway, as part of their ongoing project of robbing the poor to feed the rich, but it won't make them popular. People are unhappy, incomes are stagnant or falling, and the miracle of the free market shows little sign of rescuing them. In these times, Jeremy Corbyn's offering strikes a chord with voters. He offers change; maybe not well-thought-out change, but at least it's something different and potentially better. This puts the Conservative party in a terribly uncomfortable position. To a party of government, public opinion is a massive and unruly beast, much like Smaug slumbering beneath the Lonely Mountain. Most of the time it is fairly quiet and apathetic, but every now and then it gets angry; it may awaken without warning, and destroy any politicians unfortunate enough to be in its path. The mood of the people is angry. The Will of the People is inchoate and unfocused, but it knows it wants something different. The government's one and only offering on this front is Brexit. For all that the 2017 election was a catastrophe for the Tories, they succeeded in one respect: UKIP was crushed. Its vote share fell from 12.6% in 2015 to a pitiful 1.8%. Bereft of purpose, it is now a flailing and effectively leaderless shambles. Its erstwhile champion Nigel Farage is losing his sinecure in the European Parliament, and appears to be plotting a new career in America as toady to the Trump Administration. For now, the Conservatives have absorbed the anti-foreigner vote. The Tories hoped their coalition of the xenophobic and the prosperous would win them a landslide majority in the 2017 election. Then they could implement Brexit as they saw fit, and Theresa May could reign in glory for the indefinite future. It was not to be. Now the Tories are huddled, nervous, wondering if some populist uprising will finish the job of sweeping them away. They are right to be nervous. Brexit won't protect them forever. Maybe it won't happen at all; more likely, it will be completed sooner or later, and the UK will leave the EU. It is most unlikely to deliver any improvement in living standards; very much the reverse. Voters will notice, and demand something different. The beneficiaries might be Corbyn's Labour, which seemed laughable a year ago but is at least plausible now. I rather hope so, because the alternative is much more worrying. It may be that the angry force of English nationalism will decide the problem with Brexit is, it wasn't harsh enough on foreigners. It will throw about accusations of treason and sabotage, using the likes of the Daily Mail as its platform. It will scapegoat immigrants and ethnic minorities, and take its many problems and frustrations out on them. The nationalist political vehicle would be a far-right party resembling the French National Front, or even worse. Whether the Tories are swept aside by a new party, or abandon what remains of their moderation and fully embrace far-right nationalism, matters little to the rest of us. Either outcome is alarming, but all too plausible.